We love shopping at our local Food Lion. They not only have the best deals but a great selection too. 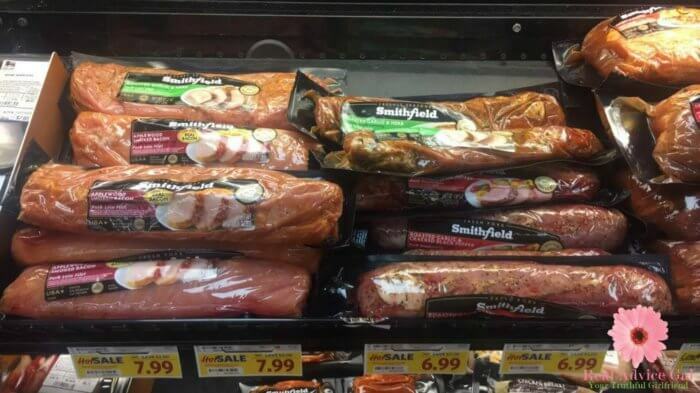 Even better, right now you can get an extra $1.00 off Smithfield Marinated Pork with this printable Food Lion coupon. Now to grill it to perfection! With these simple and quick tips for grilling, this will be a breeze! One thing that I love about Smithfield Marinated Fresh Pork is that right out of the package; it is ready to grill. No need to trim any fat or skin. This is 100% pork, and with no artificial ingredients which I appreciate! Once you have picked your favorite from your local Food Lion, time to kick the heat up outside. 1. 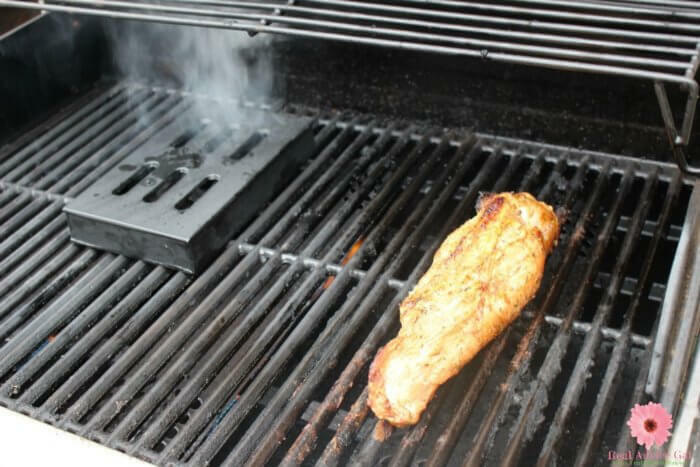 Turn your grill to high and let it sit empty and closed for about 10 minutes to heat up. If you have two or three burners grill turn the heat off on one of the burners and that is the side you will place your meat to cook. 2. 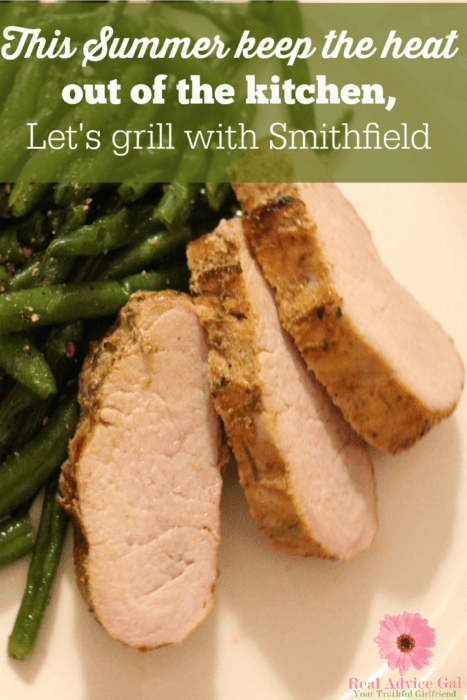 Cook your Smithfield Marinated Fresh Pork for about 15 minutes. Then, come back to flip it over and cook for another 15 minutes. Inside your pork should reach at least 155 degrees. 3. Next, remove from the grill and place on a plate and cover with foil for 10 minutes to allow the meat to rest. 4. After it has time to rest cut the meat into medallions and plate with some great sides. Want to kick it up a notch? Try smoking it! Place a cast iron smoker box on your grill while it is preheating and add any flavor wood chips inside. That’s all you have to do. The box will heat up the chips, and it will smoke and take care of the rest. Now for some sides. We love some fresh green beans. The best way to cook them is to keep it simple. Put one tablespoon of olive oil in your pan, add your beans and some salt and pepper. Cook on medium heat for about 15 minutes and done. Plate and enjoy! Another great side would be grilled corn on the cob. Get some foil out and add your corn one tablespoon of butter, salt, and pepper. 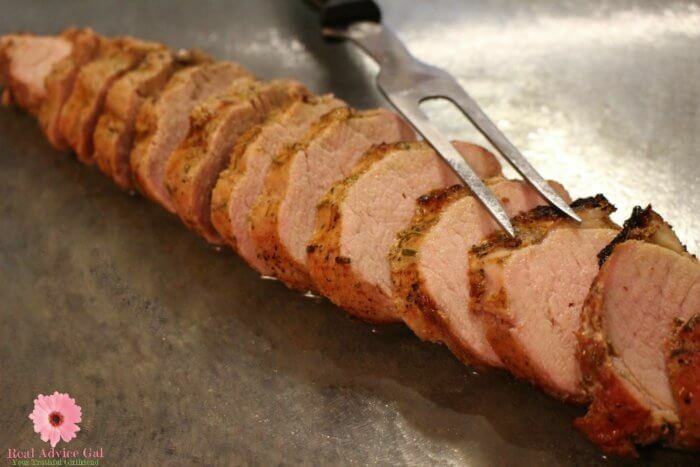 Wrap it up tight and cook on the top rack for about 20 minutes and enjoy! Need a getaway? Head over to the “What Can you do with 30?” sweepstakes! Enter by submitting a tip for getting dinner on the table in 30 minutes or less for a chance to win a trip to Napa Valley. Hope you’ll all enjoy your Memorial weekend!